BULAWAYO - People living with diabetes are more likely to cause road traffic accidents if they are driving than those who do not live with the chronic condition, the Diabetes Association of Zimbabwe (DAZ) has said. Speaking during Parliamentary Portfolio Committee on Health pre-budget deliberations at Mpilo Hospital recently, DAZ’s Violet Moyo said there was scientific data pointing to diabetic motorists causing accidents. “Our police have not been able to track the extent of road accidents attributable to hypertension. They also purport that negligent driving, non-roadworthy vehicles and sheer human error are the main causes of accidents. There is however evidence elsewhere that diabetic motorists are at a higher risk of being involved in accidents than any other ordinary drivers,” said Moyo. She challenged people to take a keen interest in their health and wellbeing by getting tested regularly for the chronic illness. “When you are driving and your sugar level gets excessively high, you may feel dizzy so much that you could fail to control the car. You may also suffer a total blackout and end up in a serious accident that affects you and other road users. 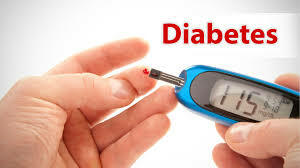 It is advisable to get tested for diabetes regularly and take your medication before driving,” said Moyo. The Traffic Safety Council of Zimbabwe (TSCZ) the Ministry of Health and Child care, as well as the Vehicle Inspectorate Department (VID) have recently been urged to come up with new mechanisms and strengthen existing ones to ensure that drivers are physically for the purpose.